Preface : There is a major difference between the offense of burglary and Massachusetts robbery charges! When you are finished reading this section on Burglary, click on the link for Robbery. The element of "Entering": Normally, one would think this means walking inside the dwelling, correct? Yes, but that's not all. If any part of the body at all is extended inside the building, such as an arm to turn a doorknob from the inside, or projecting some kind of tool just a few inches inside the building, that constitutes "entering." The element of "A dwelling house": This is almost always interpreted to mean a building or structure of some kind where one normally or regularly sleeps. It could even be a shack. The element of "In the nighttime": This is interpreted legally to one hour following sunset and one hour prior to sunrise. These times can be ascertained meteorologically to the minute, and can sometimes be a lot more important than you might think. If a defendant were arrested by police breaking into a home one minute after sunrise, then this particular element of this crime would not be satisfied, and the crime of burglary could not be charged then. That kind of careful, technical legal thinking is what separates a truly talented Massachusetts burglary defense lawyer from other lawyers. The element of "Intent to commit a felony": In most cases, this element is larceny . The District Attorney does not need to prove that the defendant actually, in fact, stole something inside the dwelling or committed larceny, in order to meet this element; all that the prosecutor needs to prove that the defendant possessed the intent to commit some type of larceny. As I said, the above is the common law definition. Here in Massachusetts, the statutory reference of burglary (provided above,) has expanded that definition so that it includes the breaking and entering of any building (not only a dwelling) at any time (not only night) intending to commit some type of felony. Interestingly, the Massachusetts statutory definition does not include entering a building (unless some type of breaking is committed) during the daytime. So you can see, this crime has traditionally been focused as a "nighttime crime." Importantly, a charge of burglary can be elevated to aggravated burglary or armed burglary if it can be shown that a burglary defendant was armed with some type of dangerous weapon, and/or if the defendant assaulted or harmed anyone inside the dwelling or building. Whether anyone was in the dwelling or in the building at the time the burglary occurred. These and other relevant factors will determine whether a person is charged with misdemeanor or felony burglary charges, and if a conviction were to result, these factors would be considered by a judge in sentencing. If the burglary is charged as a misdemeanor, a defendant can receive a fine, and/or probation, and/or be required to pay restitution to any victim(s) involved. If the burglary is charged as a felony, sentencing can include prison time, very large fines of $10,000 or more, extensive probation, extensive community service, restitution, and much more. Boston, Massachusetts Burglary Crimes Attorney: Why hire the Law Office of Attorney William D. Kickham To Defend My Burglary Charge? If you or someone you know is being investigated for or is charged with a Massachusetts burglary crime, that person is going to need to retain a talented and experienced Massachusetts burglary defense attorney - one who can demonstrate a proven track record of success in defending charges of burglary in Massachusetts. To choose an attorney who only handles these cases "now and again" is a foolish decision, and anyone who does so, or who chooses an attorney based upon the lowest fee possible, is inevitably going to be sorry. In the legal profession as in any profession, "you get what you pay for." Don't make that kind of mistake. While our fees aren't among the lowest, our talent is among the highest. 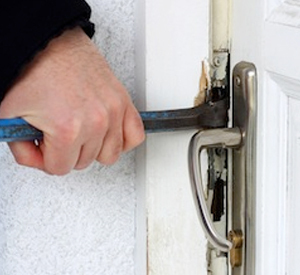 We know how to aggressively defend Massachusetts burglary charges, and we can protect you from Day One. Call us 24 hours a day, seven days a week at Ph. : (781) 320-0062, or contact us online for a free initial consultation, and we'd be glad to let you know what your legal options are, and what we can do for you.